The final epagomenal day marks the birth of Nebet-Het, the youngest child of Nut and Geb. Most of this post is introductory and will focus on the practices of Edfu and Dendera during the Ptolemaic period. Despite this I tried to include some trivia and a bit of an explanation of the significance of the holiday. It is in no way complete. In the Leyden I papyrus the day is called, ‘the child in the nest’ according to Spalinger, and the name of the day isn’t too different in the Leyden II papyrus. This is also the name mentioned in the Cairo Calendar. There is another manuscript which refers to this day as, “the pure AbDw-fish in the front of the barque of Ra”. However from the New Kingdom onward the former name of “child in the nest” is used. Much of this seems to be due to the emphasis on Aset’s ties to Sirius and thus more emphasis on the fourth epagomenal day as opposed to this day. Aset in later periods became more significant of an epagomenal day due to Her later associations with Sopdet, Who is the personification of Sirius. Since Sopdet was tied to the inundation of the new year more emphasis was place on Aset and the transference of Egypt to Wesir. In Edfu there is a feast and the ambiguous instruction of “all rituals are performed”. The calendar for Het-Hert of the same temple is of little help as enough of the text is preserved to infer there is a feast. I personally repeat the ritual from the birth of Aset based on mostly a hunch and how they two days are treated interchangeably. Who is in his Nest. Brier, Bob. Ancient Egyptian Magic. New York: Quill, 1981. Print. van Bomhard, A.S. The Egyptian Calendar: a Work for Eternity. London: Periplus, 1999. Print. El-Sabban, Sherif. Temple Festival Calendars of Ancient Egypt. Google books. Spalinger, Anthony. “Some Remarks on the Epagomenal Days in Ancient Egypt”. Journal of Near Eastern Studies 54.1(1995): 33-47. JSTOR. Categories: Epagomenoi, Holiday | Tags: belief, days outside the year, epagomenal days, epagomenoi, holiday, Kemetic, living, Ma'at, nebet-het, NeoPagan, research, sirius, sopdet, sothis | Permalink. The fourth epagomenal day marks the birth of Aset, the eldest daughter and fourth child of Nut and Geb. Most of this post is introductory and will focus on the practices of Edfu and Dendera during the Ptolemaic period. Despite this I tried to include some trivia and a bit of an explanation of the significance of the holiday. It is in no way a complete resource. The epitaph for this day is puzzling because of an issue with the name of this holiday. In the Leyden I papyrus the day is called, “Sobek, great of…”. Sadly much can only be surmised due to the damage of the papyrus. Spalinger notes in the Leyden II papyrus the day was called, ‘the pure one in the field’, though this is possibly an attempt to parallel the holiday back with Wesir (more on this in a moment). The Cairo Calendar calls the day, “the one who makes terror”. Some contention about this day arises from the discrepancies found in some calendars about the recording epagomenal days ending on this day. There is little record following about the fifth day since the records stop here. This day, like the day of Nebet-Het, is also called “the child in the nest”, though the changing of dates may be due to Aset’s association with Sirius. As suggested in the post about Wesir’s birth, it may be something of a parallel to the couple astronomically as well as mythologically. The constellation Sah’s not only associated with Wesir but with the end of a year cycle. In associating Aset with Sopdet (Sirius) the associations with the new year arise in a different light. Spalding notes that Wesir is tied to the new year through the revival concept as well as Aset in the form of Sopdet passing along Her ownership of Egypt to Wesir. In this sense He also plays a role in the revival of Egypt as well as the revival of the year. We see this reflected in not only in Aset’s epitaph referring to Wesir’s epitaph on His birthday, but as noted in the syncretizing of Sopdet and Sah with Aset and Wesir respectively. Since Aset and Wesir must bring in the new year the emphasis on focusing on the fourth epagomenal day as opposed to the fifth makes more sense. While Spalding dismisses Leyden II on the count that the text seems too distorted to be of any worth, I feel the astronomical and mythical parallels are too big to ignore. In Dendera, a procession and feast took place in honor of Aset the night before. Other temples had additional rituals, such as the possibility of dedicating the temple to Aset in Philae. In Edfu there is a procession which leads to the “Place of the First Feast” where, alongside Ra, purifications are performed as well the robing ceremony. The procession then moves to the Mesenet-chapel for the night. The Het-Hert calendar of Edfu adds the “festival of the revealing of the face”. It also specifies offerings of fowl, bovine, milk, and wine. Categories: Epagomenoi, Holiday | Tags: aset, belief, days outside the year, epagomenal days, epagomenoi, holiday, Kemetic, NeoPagan, new year, research, sirius, sopdet, sothis | Permalink. If you’re like me, you like to celebrate the holidays with ritual and parties. Wep Ronpet has been a bit challenging for me because I’m not very creative, so I gravitated towards a star theme. 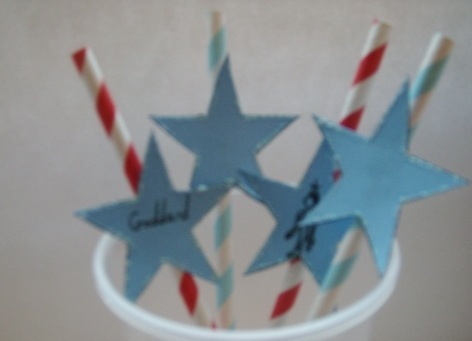 This led me to my party idea of star drinking straws. You can either buy some straws at the store or check for tutorials and make your own. Here’s how I made mine. 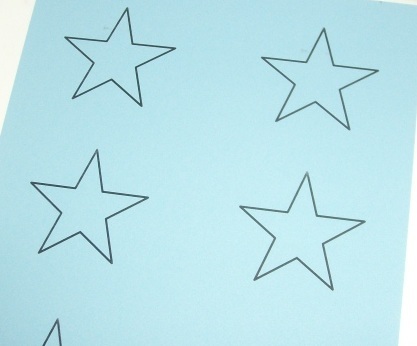 Make a template of the stars to use with the clipart provided on a word processor program. I’d probably stick to 1 inch, 2 inches if you want large stars like I used. TIP: Be sure the lines on the stars are 0.04 inches. This will make the stars show up better. 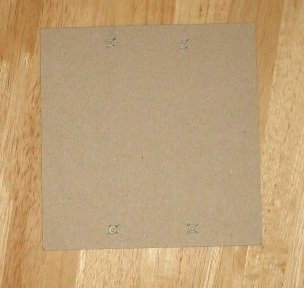 After printing off the sheet on cardstock cut the stars out. 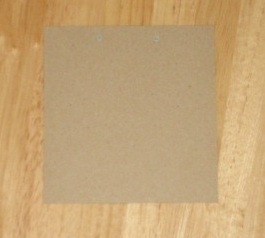 Save the cardstock remnants for a later step. 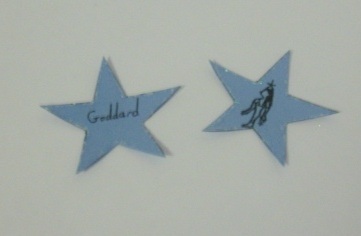 Decorate the stars with glitter glue. If you really want to have some fun write your guests’ names on the stars, or draw a picture of Sopdet on it. 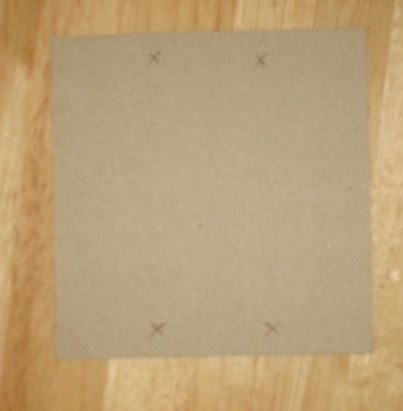 Take the scraps of cardstock from the previous steps and cut some strips about 1/4 inch thick. 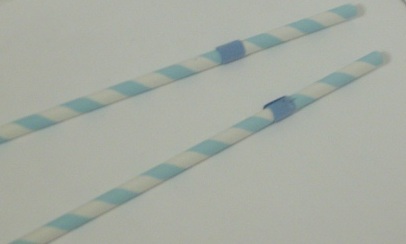 Wrap the strips around the straw, trim, and glue the ends together. 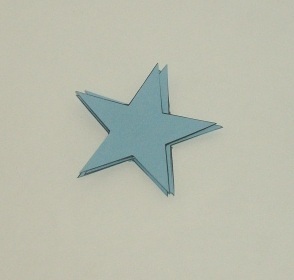 Place a drop of school glue on the seam and place the star on it. Let it dry decorated side down. This is a fairly easy craft and one that’s enjoyable. 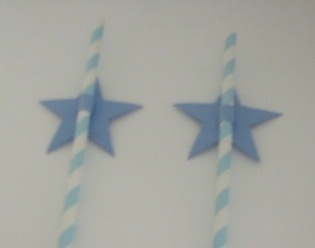 I found I could make a few and, if enough space is left, can allow guests to keep the star for other uses. Categories: Craft Friday | Tags: Craft Friday, drinks, Kemetic, NeoPagan, papercraft, party, straws | Permalink. The third epagomenal day marks the birth of Sutekh, the third child and youngest son of Nut and Geb. Even though Sutekh had some worship in earlier periods in Ancient Egypt, much of that was lost over time due to His later associations with chaos. Most of this post is introductory and will focus on the practices of Edfu and Dendera during the Ptolemaic period. Despite this I tried to include some trivia and a bit of an explanation of the significance of the holiday. It is in no way a complete coverage of the topic. There seems to be, just like with the birth of Heru-Wr, some interchanging of names. In the Leyden I papyrus the name of the day is, “The pure gAs”. Spalinger notes there is no name for this day in later periods due to how Sutekh was perceived and His subsequent erasure. Conversely the Cairo Calendar called the day “powerful of heart”, which is also the name listed for the birth of Heru-Wr. Another manuscript refers to it as “the night of purifying sxm-pgs”. It is also noted in some manuscripts how the solar barque presented itself on this day. This would be consistent with boat themes found in other manuscripts concerning the names of the epagomenal days. What is difficult to discern is how this day was observed. 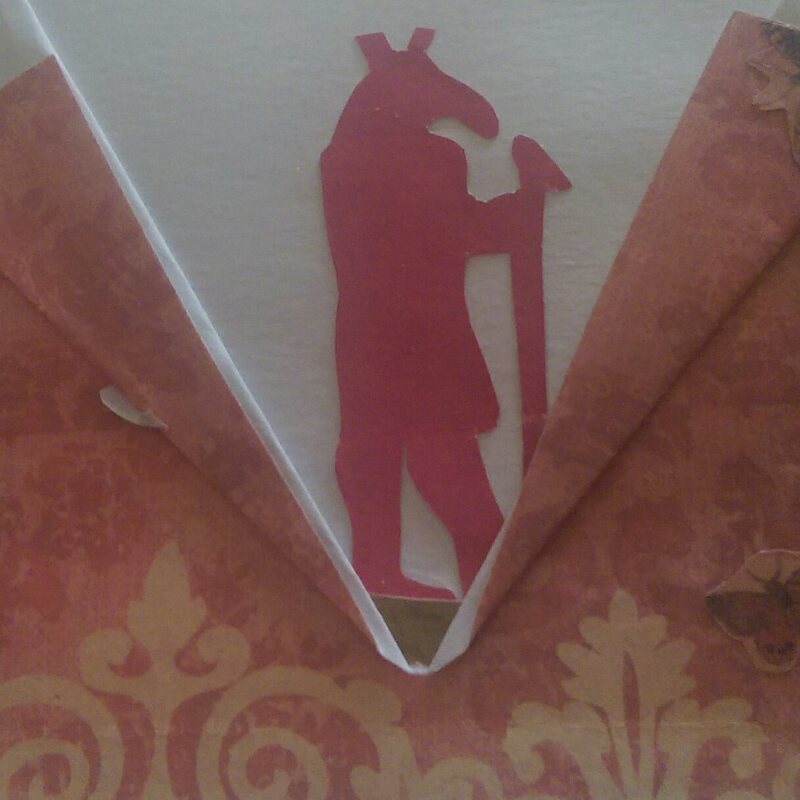 It’s a little difficult to determine how exactly this holiday was observed in the temples due to Sutekh’s poor reputation and erasure in later periods. The temple of Edfu notes on the Het-Hert calendar that burnt offerings were given with water libations at all hours of the evening, but that is to Het-Hert rather than Sutekh. This was followed by a evening procession to meet with Heru-Behedity. Categories: Epagomenoi, Holiday | Tags: belief, days outside the year, epagomenal days, epagomenoi, holiday, Kemetic, Ma'at, NeoPagan, set, setesh, seth, sutekh | Permalink. The second epagomenal day marks the birth of Heru-Wr, the second eldest child of Nut and Geb. Most of this post is introductory and will focus on the practices of Edfu and Dendera temples during the Ptolemaic period. In that light the information will be more focused on the practices which are possibly more Hellenized than other periods. Despite this I tried to include some trivia and a bit of an explanation of the significance of the holiday. It is in no way complete. The name for the birth of Heru-Wr is interesting. There are a few variants as to what this day was called. In the Leyden I papryus the day was called, ‘Who bails without His oar’. It’s called in Leyden II, ‘Who sails in the pool of the alty canal’ according to Anthony Spalinger. Spalinger notes the day is called, “it is the strong of heart” in the Cairo Calendar. Yet another manuscript about the epagomenal days calls it a “pure bull in his field”. There are a couple of ideas as to why there are so many different epithets for this day. One is the possibility of a scribal error like the aHA-fish in a pool attribution to Wesir. Spalding hypothesizes, on the other hand, the interchangeability may have more to do with later associations with Wesir as opposed to Heru-Wr. The celebration of this holiday is fairly elaborate in the temples compared to information available of the other epagomenal days. The temple in Edfu focused on not only the robing ceremony like the birth of Wesir, but also notes how the daily rites are performed. Het-Hert also had a procession in Edfu where She’d stop in Her shrine, later resting in “the Palace” for the evening. There isn’t any record available to me about how this day was observed, if it was observed at all, in Dendera. Categories: Epagomenoi, Holiday | Tags: belief, days outside the year, epagomenal days, epagomenoi, holiday, hru-ur, Kemetic, Ma'at, new year, research | Permalink. 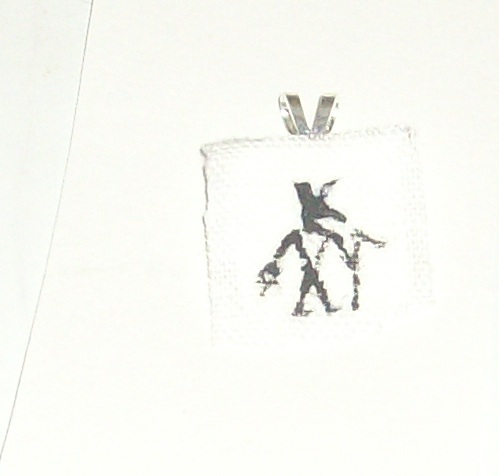 I know I have a linen amulet already made, but now I have a chance to create a more contemporary amulet to my liking. I used the same passage from before and extrapolated which gods were represented. I really enjoy this rendition and I hope you do too. 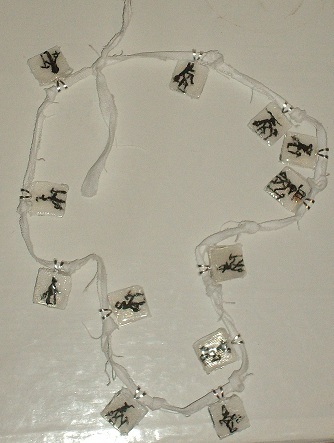 Take a strip of linen and cut out 24 pieces to fit the pendants. NOTE: I did this because I wasn’t using bezels but pendant blanks. If you’re using bezels you’ll need 24 of them. Paint one image of a deity per piece. Size as needed. 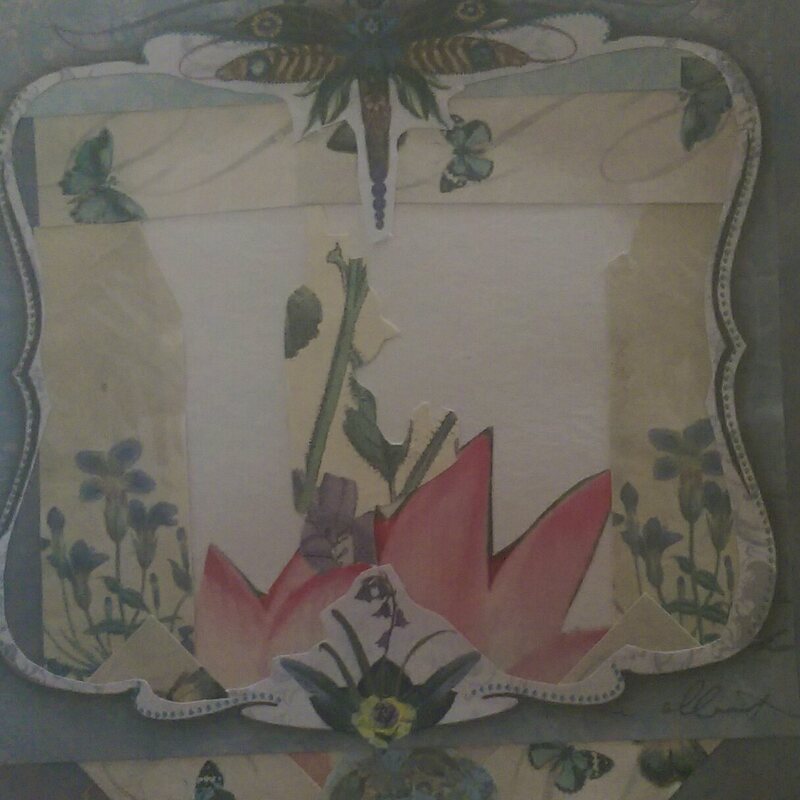 3.Apply decoupage glue onto the linen and place on the blank or bezel. Let dry. 4. Apply the dimensional adhesive as directed. Let dry. 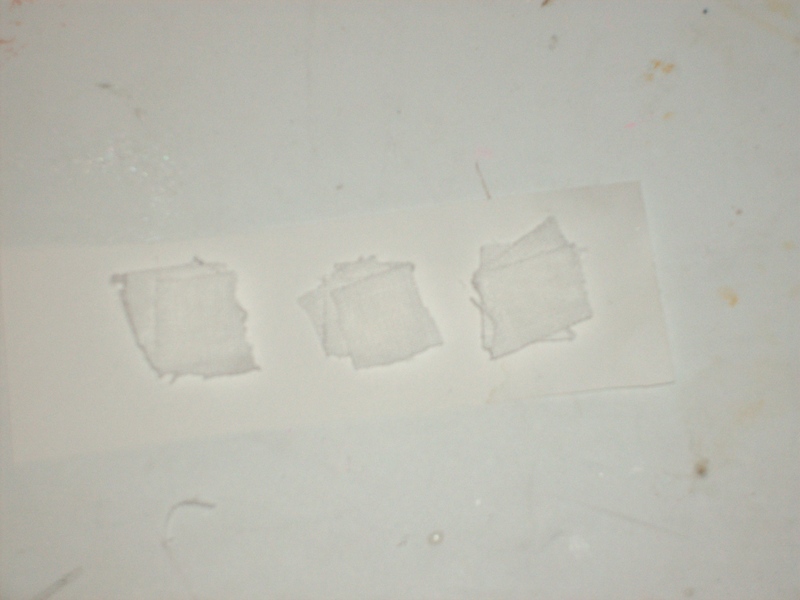 TIP: If using the pendant blanks let it dry completely then reapply if it’s too thin. 5. If using pendant blanks repeat steps 3 and 4 with the leftover pieces on the other side. 1. Take the thinner linen strip and size as necessary. If it’s still too thick for the pendant loop, fold the strip in half. String a pendant through the strip. 2. Tie a knot roughly 3 inches from edge. The knot should be tied so the pendant is behind it. If you’re using bezels string 2 bezel pendants onto the strip. This knot will serve as a place marker. 3. Tie a knot roughly 2 inches away from the other knot. I ended up untying the first knot after step 5 in order to complete the necklace. 4. Repeat with another pendant until all pendants are strung and 11 knots are made. 5. Tie the ends together to make the 12th and final knot. As I’ve said before the aforementioned passage was recited over the linen amulet during the Epagomenoi and on Wep Ronpet. This was to ensure protection from Sekhmet and the demons of outside the year. Categories: Craft Friday | Tags: amulet, calendar, Craft Friday, epagomenoi, holiday, Kemetic, linen, NeoPagan, protection, tools | Permalink. birth of Wesir, the eldest child of Nut and Geb. Most of this post is introductory and will focus on the practices of Edfu and Dendera during the Ptolemaic period. Despite this I tried to include some trivia and a bit of an explanation of the significance of the holiday. It is in no way complete. 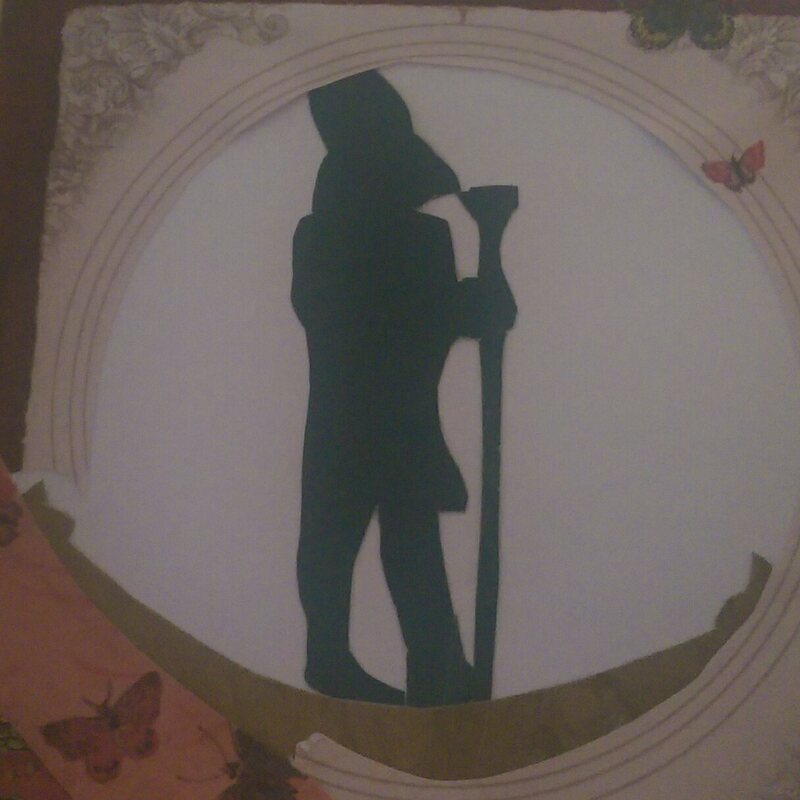 Coinciding with the myths Wesir is the first epagomenal day since He is the eldest child of Nut and Geb. There were a few names for this holiday. Anthony Spalinger notes in the Leyden I papyrus the first epagomenal day was in reference to Wesir despite the illegibility of the name. Meanwhile the Leyden II papyrus noted it as “HAsgw, who does not know his oar”. Spalinger also noted in the Cairo Calendar the “pure bull in his field” was the name for the Birth of Wesir. However another manuscript about the epagomenal days notes the day refers to the an aHA-fish in a pool, though this is possibly a scribal error. All of these are referencing the new year and connect Wesir with being responsible for it in some fashion. This connection with the new year was further reflected astronomically through a few aspects. One of the aspects was with the constellation Sah (which many in the Western world will recognize as Orion). 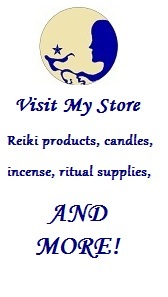 Most Kemeticists are familiar with the associations of Aset and Sirius as well that association with the new year. What is less noted is the constellation of Sah and its stellar association with the end of the year. Part of this is suggested by His depiction of looking away from Sopdet (Sirius), whereas Sopdet looks towards Him. They both are believed to look in the direction of the decans and Sah’s turning away suggests and ending of that year, whereas Sopdet looks towards Him as a suggestion of the start of a new year. One possible interpretation for this connection to the constellation Sah lies in some of the associations of Wesir in other temples. In the temple of Opet there is a passage to Wesir which refers to Him as a harbinger of new beginnings. While the inscription in Opet is most assuredly about the first epagomenal day, there is some suggestion Wesir is also tied to the new year through passages such as this. Some of this comes from the interpretation of how Wesir begins the epagomenal days and, therefore, must begin the new year in the same fashion. A way this is tied is through His birth being visited by Ra at Opet, where a form of Wesir’s father is mentioned as Amun. In the inscriptions there are further inferences about Wesir’s traits of rebirth and rejuvenation. He also is said to bring the new year through “inheriting” Egypt from Aset in Her form of Sirius. In the Temple of Edfu this festival consisted of dressing the pillar of Behedet as well as Edfu’s ennead. Meanwhile in the temple of Dendera there doesn’t seem to be an observance of this day. On the other hand the calendar for Het-Hert in Edfu notes how the robing ceremony was performed on a statue of Wesir from Dendera. In that light it’s possible there was something observed in Dendera but the information is unavailable to me. Categories: Epagomenoi, Holiday | Tags: birth, days outside the year, epagomenal days, epagomenoi, holiday, Kemetic, Ma'at, NeoPagan, new year, osiris, wesir | Permalink. It’s nearing the end of the year for Kemeticists, and that means I’ll have a few posts about it. This is considered a very introductory post to the epagomenal days. It is in no way comprehensive nor should be considered complete. It should, however, give folks an idea of what it is and why it is observed, even if there isn’t much of a celebratory observance. The epagomenal days are a transition period between the end of the year and the start of the new one. There five days not considered a part of the year. On a practical level, this is due to the way months are arranged. The Egyptian calendar is arranged into twelve months with thirty days. This meant the year would have been 360 days, even though the solar year is roughly 365 days. There is an exception when an extra month is added to the calendar as a leap month, called an “intercalary month”. The intercalary month is determined by examining when the lunar month of 1 Akhet begins in conjunction with the heliacal rising of Sirius. If the heliacal rising of Sirius occurred eleven days before the first lunar month (which began on a new moon) the intercalary month was added. Even though calculating the observance of the epagomenal days and subsequent new year could get complicated other aspects weren’t. The myths behind the epagomenal days are a little less complex. Ra, according to the myths, forbade Nut from having a child on any day of the year. This devastated Nut as she was pregnant. Desparate, She employed the help of Ra’s vizier, Djehuty. Thoth then played against Khonsu in a game of senet with an additional caveat: if Djehuty wins, He wins an extra day. Djehuty, Who was incredibly good at the game, ended up winning five times. He then informed Nut that He won five extra days on which She could give birth. On the first day She gave birth to Wesir, the second day Heru-Wr, on the third day Set, on the fourth day Aset, and on the last day Nebet-Het. Even though these seemed like wonderful things, in Ancient Egypt the epagomenal days were very dangerous. Sekhmet was believed to rise up after the last day of the year and try to destroy mankind. This period was considered dangerous enough to possibly cancel work as there are records of people given time off and little to no work was recorded during this period. 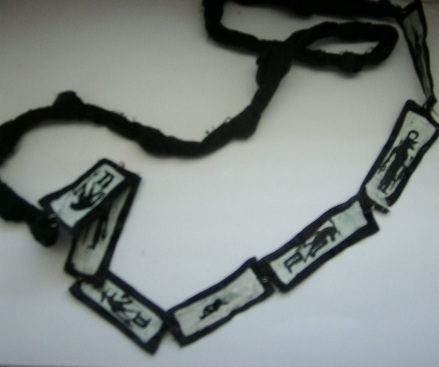 People would wear amulets made of linen that was knotted twelve times to protect them from any danger during this period and in the upcoming year. There was also a ritual called “pacifying Sekhmet” which was performed and apparently could use the very goddess that wrought plagues during this time as a protector. Modern Kemeticists celebrate the holiday with a more positive light in contrast to ancient practices. Members of the Kemetic Orthodoxy light candles and recite prayers, and some go as far as to create shrines to the children of Nut and Geb on Their respective days. Some Kemeticists use this time to fast. 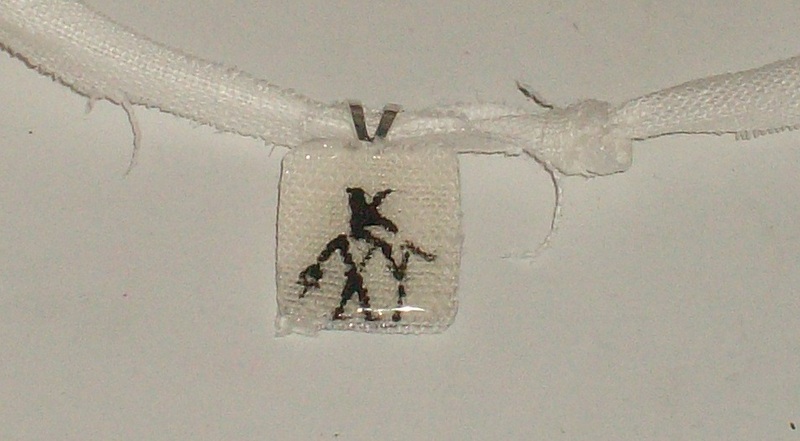 Some Kemeticists create amulets such as the linen amulet to ward off Sekhmet. There are even some who recreate the temple rituals during this time as a way to observe these holidays. However Kemeticsts may celebrate, it’s always with reverence and acknowledgment of the old religious year passing and the welcoming of the new one. Over the next few weeks I’m going to have a few blog posts with a brief explanation of each of the epagomenal days, how they were observed, how they’re observed today, and a bit of trivia on each. Jauhiainen, Heidi. “DO NOT CELEBRATE YOUR FEASTS WITHOUT YOUR NEIGHBOURS”: A Study of References to Feasts and Festivals in Non-Literary Documents from Ramesside Period Deir el-Medina. Diss. Helsinki University, 2009. PDF file. Parker, Richard A. “The Calendars of Ancient Egypt”. Studies in Ancient Oriental Civilization 26 (1950). PDF file. Pinch, Geraldine. Handbook of Egyptian Mythology. Santa Barbara: ABC-CLIO, 2002. Print. Categories: Holiday | Tags: days outside the year, epagomenal days, epagomenoi, holiday, Kemetic, NeoPagan, new year, research, summary | Permalink. It’s nearing the epagomenal days for Kemeticists. I’ll have a few upcoming posts that explain it in better detail, but it was a time that served as a transition between the previous year and the upcoming one. While it was a time of renewal they were considered dangerous as well. It was a time when Sekhmet and Her demons would emerge and try to destroy mankind. During the epagomenal days the Ancient Egyptians wore an amulet to protect themselves. 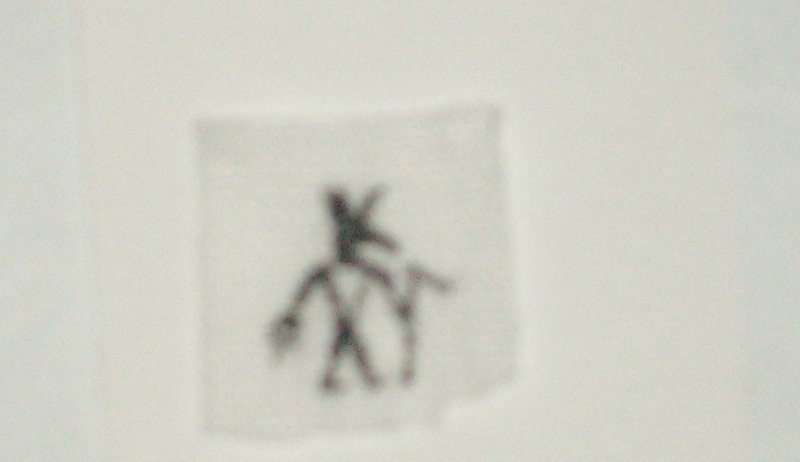 This amulet is made from a strip of linen and contained the image of various gods and 12 knots. Each day from the end of the year until the first a spell was recited over the necklace to grant protection. Naturally I made one for myself so I may practice accordingly. 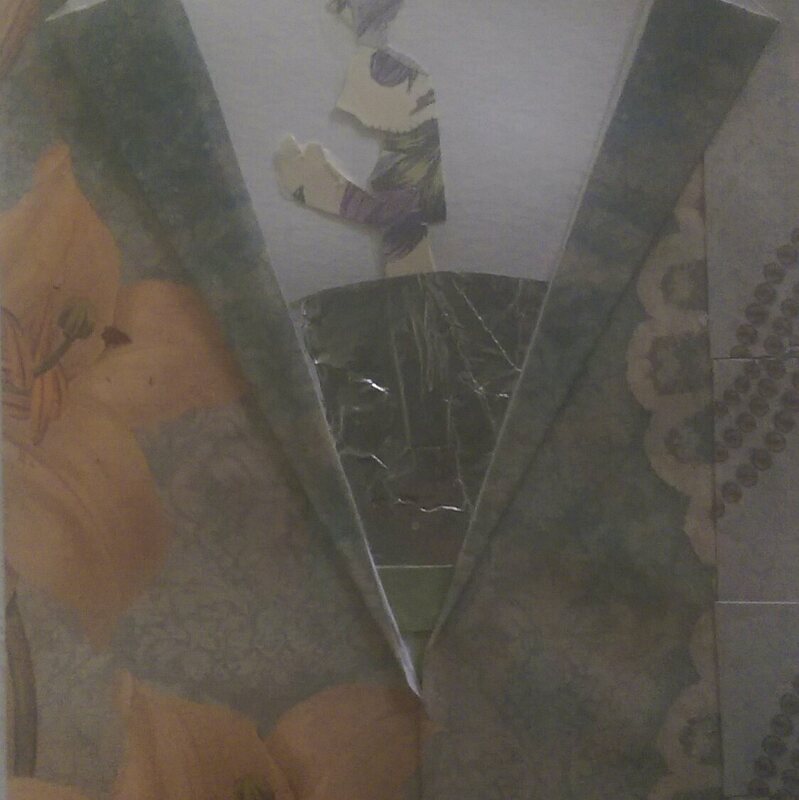 My rendition of the amulet is shown below. I didn’t have any white linen and didn’t feel bleaching the fabric was a good idea, so I ran with it to the best of my ability. I decided on the 12 knots in the manner I did because it mimics cloth beads. In an effort to save on cloth and length (I don’t like very lengthy necklaces) I painted the images of the gods on both sides of each piece. 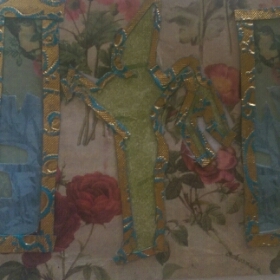 I lined each piece with a ribbon as trim. As the pieces dried I poked a hole through each end wide enough for a jump ring. If you’re curious about how I discerned which gods ended up on the amulet and other information about these amulets (including the spell to recite) I use this passage. Categories: Craft Friday | Tags: Craft Friday, epagomenal, epagomenoi, holiday, Kemetic, NeoPagan, new year | Permalink.